12 Year Old Michael Jackson: Jackson Five's "The Love You Save" Acapella! Last Friday was Michael Jackson's birthday. For those of us who actually grow up with him and the original Jackson Five, this song is timeless for us. As a 4-year old child growing up in the Noe Valley district of San Francisco in the 70's, I drove my parents crazy with the following song by the Jackson Five - "The Love You Save". From the archives of the old Ed Sullivan Show, here is 12 year old Michael Jackson with his 15 year old brother Jermaine in the Jackson Five's "The Love You Save" in Acapella!!! (There is a 20-second pause in the middle of the song). Jackson Five's "The Love You Save" featuring 12 year old Michael Jackson live on the Ed Sullivan Show in 1970. Michael Jackson Turns 50: Jackson 5 In 1969 & 1970 - I Want You Back & ABC! 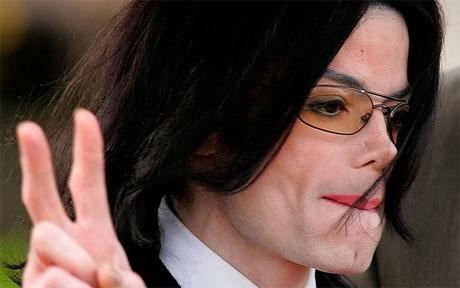 Michael Jackson turns 50 years old today Friday, August 29, 2008! Yes, that is right - 50!!! A couple pictures of Michael Jackson at 11 years old in 1969. Here is some news of Michael's birthday from London, England. Photo Album of Michael Jackson throughout the years. Jackson 5 sing "I Want You Back" on the Ed Sullivan Show in 1969. Michael Jackson was 11 years old!!! Ed Sullivan Show 1970 - Jackson 5 featuring Michael Jackson in "I Want You Back" & "ABC". ABC Jackson 5 - Sing along with the words and slang of urban youth of the late 1960's. A little mix of some Jackson 5 songs including 'I Want You Back", "ABC", "Sugar Daddy", "The Love You Save", "Whose Lovin' You", and "I'll Be There". PS. Michael Jackson was such a Kool Little Pimp of a performer when he was 11 & 12 years old. What happened to you Michael?